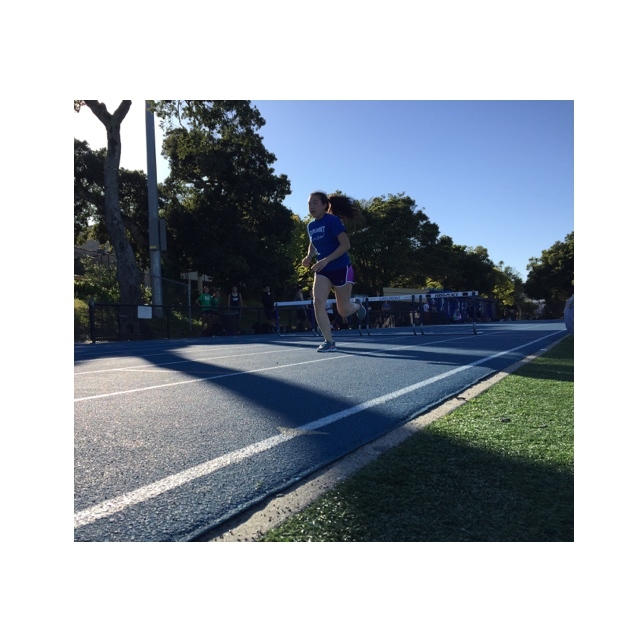 Sophomore Dana Yang runs on the Carlmont track during practice as the team prepares for the meet against Woodside. The 2016 Carlmont track and field team recently won their first home meet against Capuchino High School. “We are all so happy that we won our first home meet as a team! We really needed this win if we actually want to move up brackets and win in our division,” said sophomore Andrea Mendez. This upcoming week, the track team as a whole is focusing on wanting to beat Woodside High School in the meet this Thursday. The meet will be held at Woodside at 3:15 p.m..
“This meet is also very important to us to win this week if we want to move up brackets. In the last meet, the team as a whole all put their 100 percent effort into their event, and that is why we won. 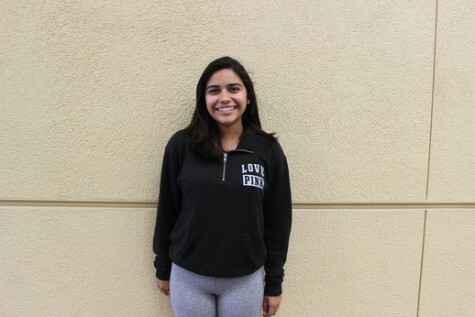 This week, we need to do the exact same thing,” said sophomore Devon Sagon. To try to win, the team as a whole needs to get as many of the top times and scores in the meet for running and field events as they can. “The key to winning this meet is to get the top times and scores. This will not be an easy meet nor a hard one, but Woodside High School is a good team and they are coming out to win too. If we just focus and put all our effort into this meet, we have a chance to win,” said freshman Simon Tara. Each person on the track team is doing their part in their event to do their best to get their top time or score. During practices, every coach for every event is working rigorously on training their athletes so Carlmont can take home the win. “Our coaches are really training us hard for this upcoming meet and it is not only challenging but it is also exciting! We are all hoping for the best for us,” said sophomore John Tan.